- Developed and evolved from YEARs of competitive shooting, the JP Competition Series Compensator/Muzzle Brake has reached an optimum level of effectiveness while keeping a low, traditional looking profile. The gas ports have been tuned to match our most effective "Howitzer" brake as closely as possible, resulting in a virtually flat, neutral hold. For target or varmint shooters, this makes it SO much easier to see your hits. 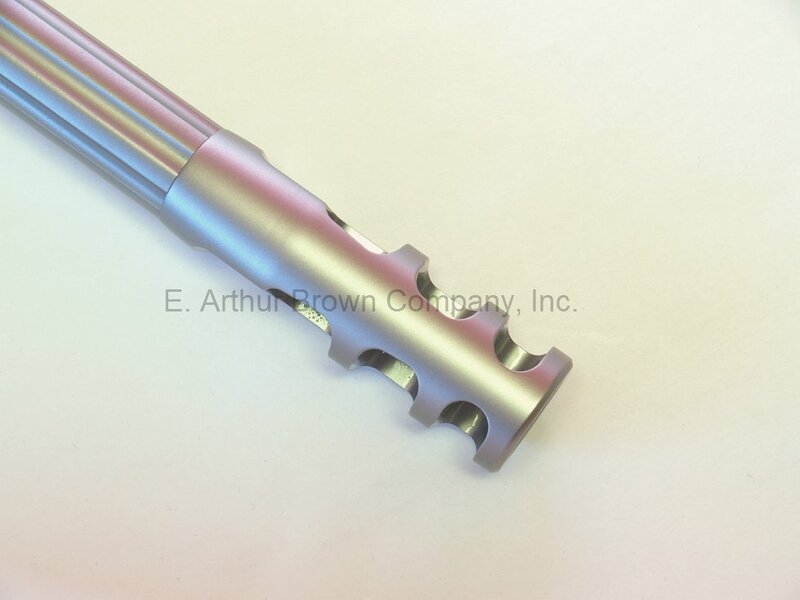 - Excellent for All Cartridges - We've been installing these on Encore barrels, Bolt Action rifles, and AR15 variants for several years now, on guns chambered for just about all centerfire cartridges... And the response has been so positive that we added this brake to our regular installed Muzzle Brake line-up. 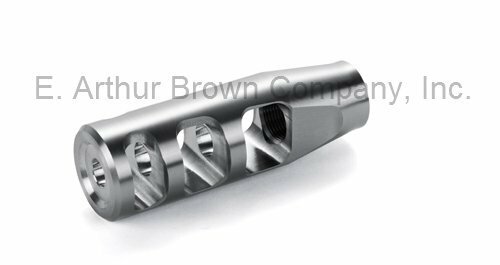 The price includes precision threaded, 11° Target Crowned installation and finishing. For links to all of our muzzle brakes and to read a description of our installation process, please visit our Muzzle Brake Home Page. - The major outside diameter of this brake is .980". It adds about 2-3/8 inch to the barrel length (unless you want us to shorten the barrel with installation). And, it fits barrels up to .875" at the muzzle. - Please use this Work Order Form when sending your firearm or barrel to us. Allow approx. 6-8 weeks for installation. 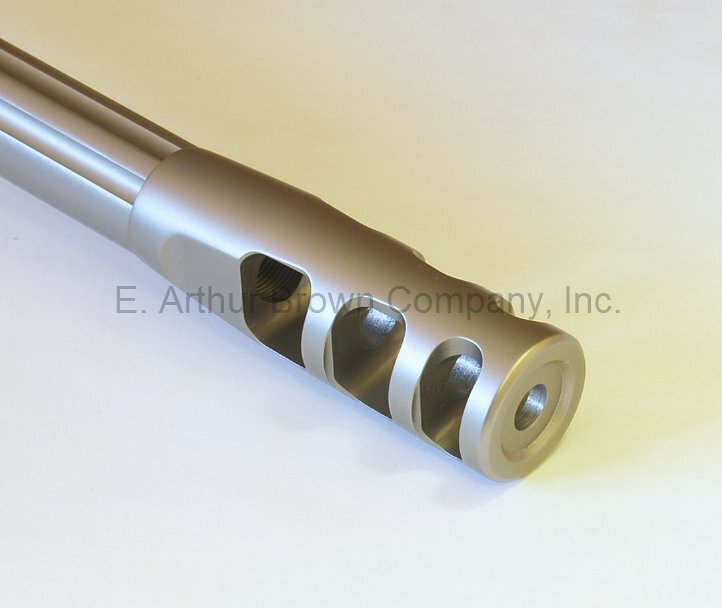 I had this brake put on a barrel cut to 16.5" chambered in S&W 460 Mag for my Encore. The recoil is totally manageable with this brake either in rifle or pistol configuration. They cut the barrel and installed the brake and it looks flawless. I will use them again!